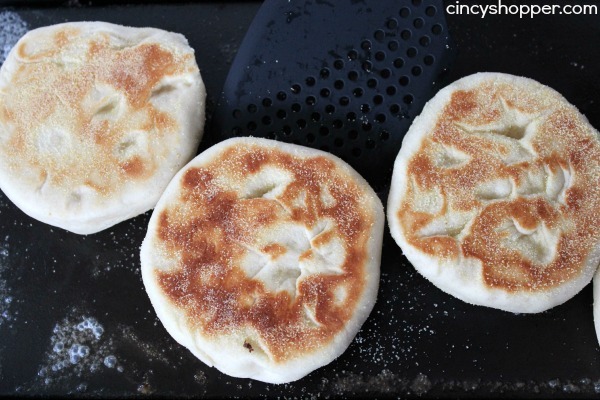 This Homemade English Muffins Recipe is my new favorite recipe. These English Muffins are filled with nooks and crannies, tasting so much better than store bought. Homemade English Muffins are not very difficult. They are much easier than one would expect. In not much time at all you can enjoy fresh made English muffins. Load on the butter, jam, Homemade Nutella, Homemade Apple Butter, eggs , cheese, meat… whatever you like. Last week the hubby and I were watching some documentaries on processed foods. Every time we watch these kinds of movies I get on a homemade kick with less preservatives in our foods. It can be difficult. I am hoping I can stick with it this time around. Bread is one of those items that I have now grown scared to eat from the grocery shelves. Every time I grab a loaf I am wondering, “How long has this loaf been sitting here?” or, “I wonder how long it will take for this loaf to turn green in my bread drawer?” I am guessing a VERY long time. 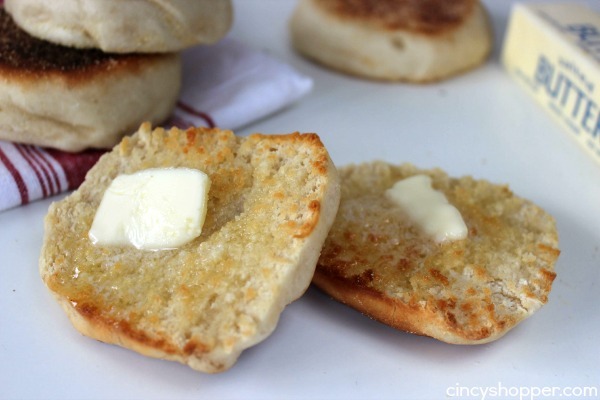 This Homemade English Muffin Recipe has become popular in our home. The kiddos and the hubby loved them. I made a batch placed them in Ziplock bags and they have fresh homemade English Muffins to enjoy for breakfast. PERFECT. 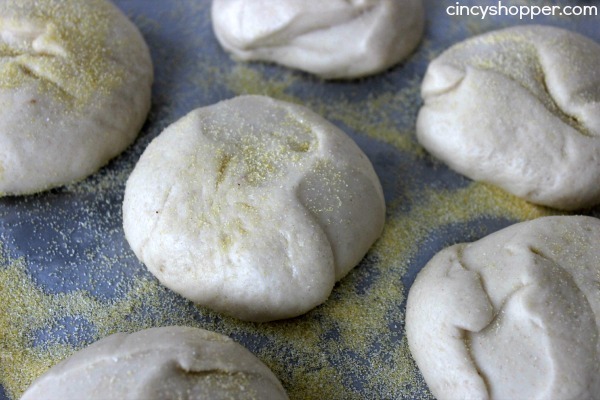 The ingredients needed to make them are so simple and the time needed was not bad at all. I am looking to make another batch and freeze them this week. 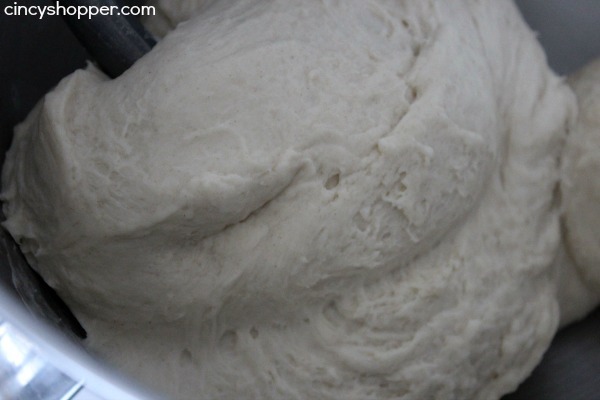 Put 3 cups of flour, salt, butter, egg, yeast mix and milk mix and beat until smooth.Add remaining flour 1/2 cup at a time until a soft dough forms. This recipe looks so easy! 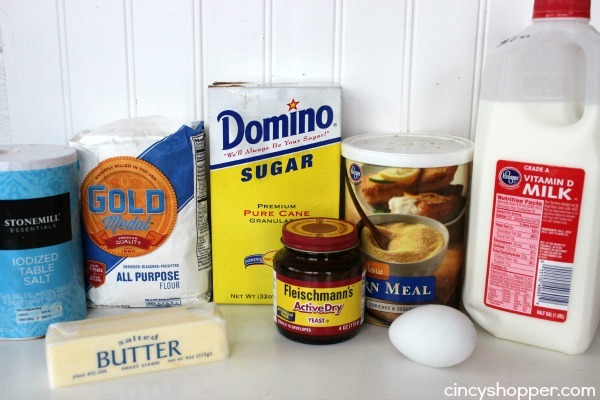 I love english muffins and cant wait to try it!I wonder if you could sub whole wheat flour for some of the regular? coming from the Mix it up Monday linky party! Found on the link up at twelveOeight. Thanks for the recipe! I’m going to give this one a try. My kids love English Muffins but we rarely ever buy them. I love English Muffins, these look awesome! Hope you are having a great week and thanks so much for sharing with Full Plate Thursday. When do I add the egg? Add at the same time as flour, butter and salt. I left that out of recipe. I have now edited and corrected. These are worth the effort! Mmmm! Thanks for sharing! how do you reheat can i still use the toaster? Thanks for this recipe. I have been looking to try this. We love these and wonder too what the breads have in them at the store. Looks simple and can’t wait to taste. I would like to read your recipe(s) but, between the links running down the left side of my iPad screen and the ads covering other parts, it’s impossible! What temp do I heat the griddle to for cooking? This is a really cool recipe. I’ve been tossing the idea of making my own bread around recently. Will definitely be saving this for future reference! Thanks for sharing! These remind me of my time in England :) Looks like an easy recipe – perhaps it will even work with vegan substitutes? I’ll give it a try :) Thanks for the recipe! 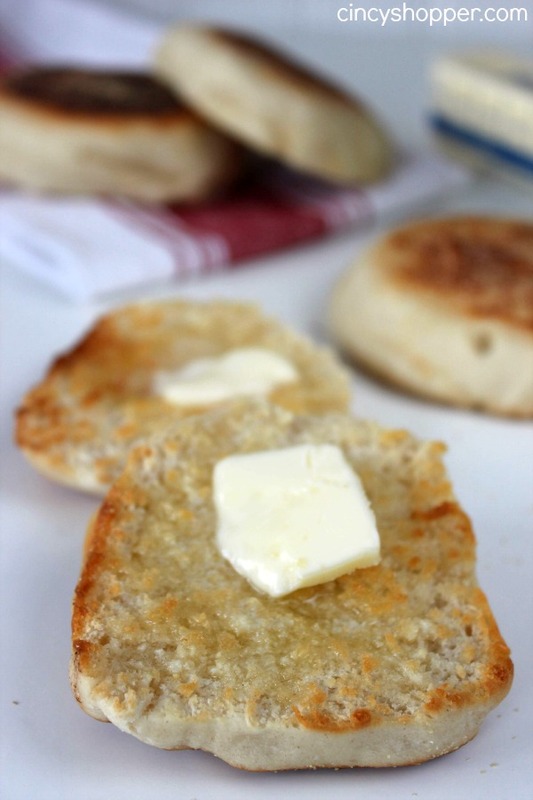 I’ve been on an English Muffin kick recently – I should try making my own! Thanks for the recipe & thanks for linking up with Merry Monday this week. 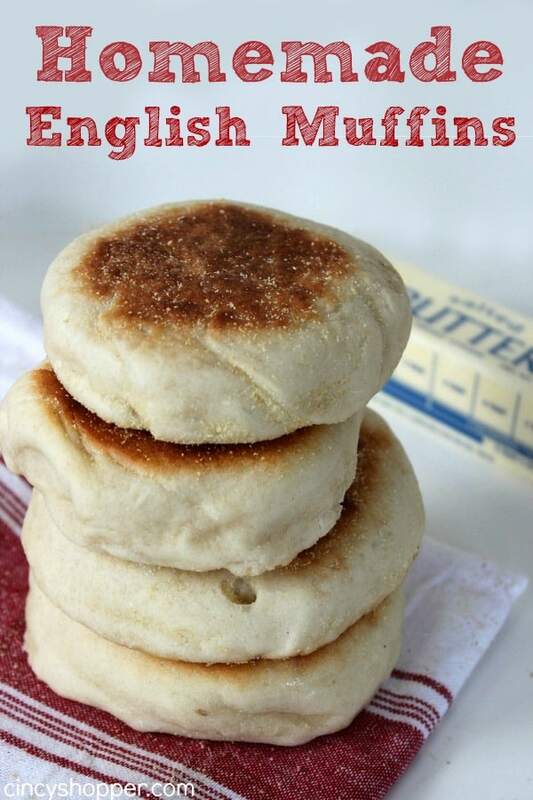 This is the easiest and best English muffin recipe! I cook them at 350 degrees on a Cuisinart Griddler and they turn out perfect every time. 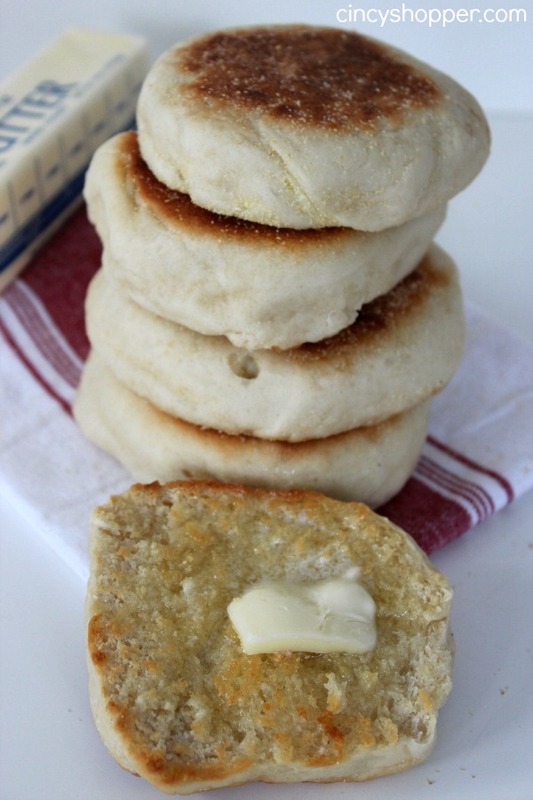 This is the easiest and best English muffin recipe ever!!! I cook them on a Cuisinart Griddler and they turn out perfect every time. Thanks for sharing this recipe. Just a follow-up…I set my Cuisinart Griddler at 350 degrees. Perfection.